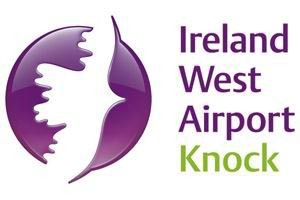 Avis Car Hire have a rental desk located in the arrivals hall at Knock Airport and the Avis collection point is just a short walk from the airport arrivals. If you are looking for a car hire company at Knock Airport – you know you can trust Avis. In 2012 Avis were awarded the ‘World’s Leading Business Car Rental Company’ at the World Travel Awards for the seventh consecutive year.In 2013 Avis were Awarded the ‘Best Car Rental Company in Europe’ at the Business Traveller Awards for the tenth consecutive year. With Avis car hire – customers must have been eligible to hold a valid driver’s licence for 8 years of which 2 must be at a full driver’s licence qualification. To rent a People Carrier, customers must have been eligible to hold a valid driver’s licence for 10 years of which 2 must be at a full driver’s licence qualification. To rent a Minibus with Avis , a 4×4 or a luxury Car customers must have been eligible to hold a valid driver’s licence for 12 years of which 2 must be at a full driver’s licence qualification. Though you can use many different credit cards to make your booking, you must have one of the following cards (American Express, MasterCard, Visa or Diners Card), in the name of the driver, with you when you collect your car. Avis Ireland do not accept debit cards.